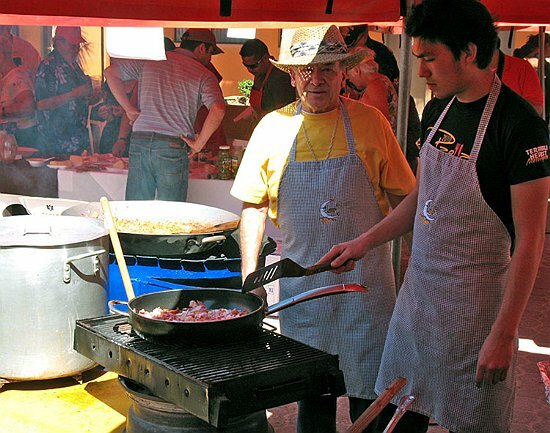 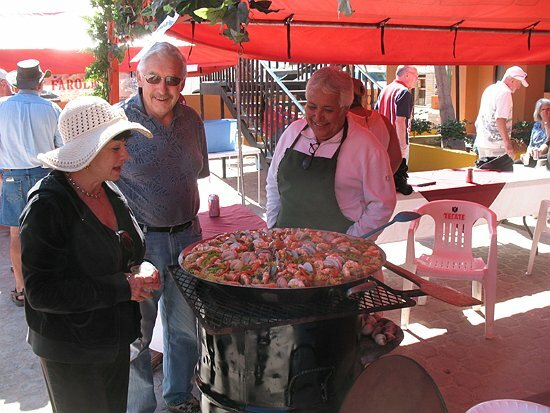 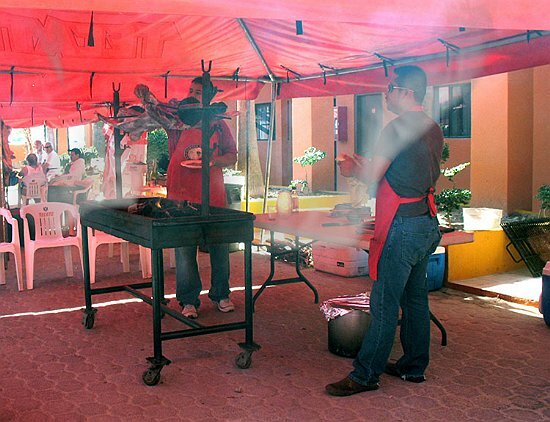 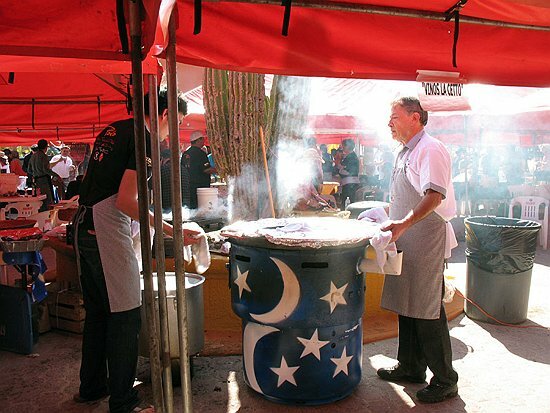 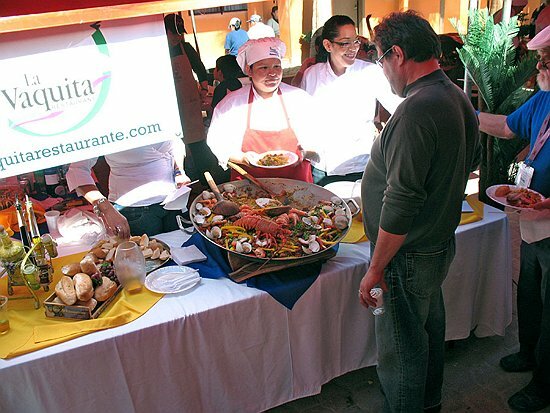 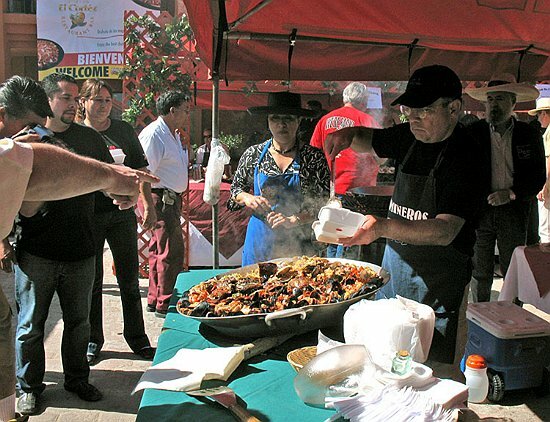 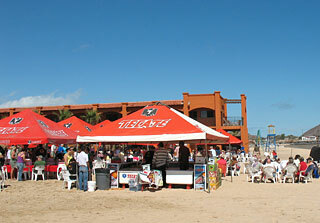 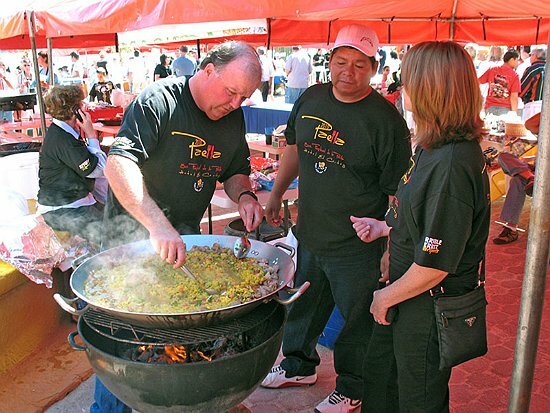 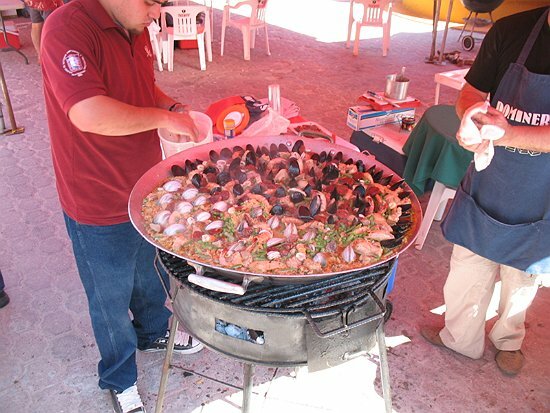 Yesterday morning looked less than promising for the 2010 Paella Festival at Cortez Hotel in San Felipe. 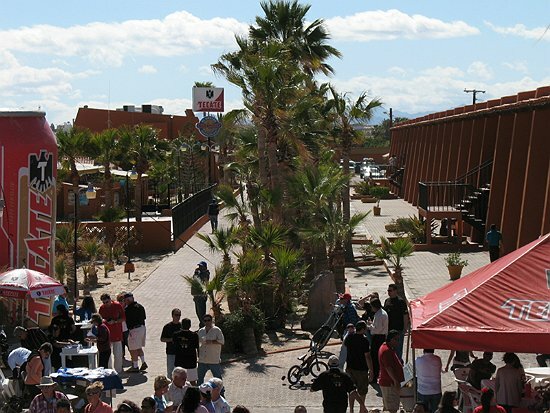 The weather was one third of a half-wit, complete with drooling lower lip. 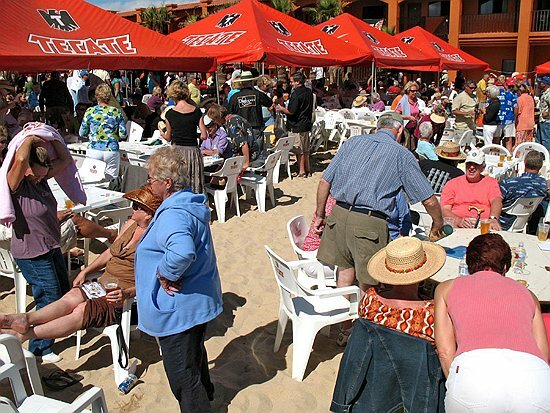 And then, perhaps because of social pressure or the need to appear charitable, the half-wit quickly transformed into a full-wit and presented for the festival a warm, shiny complexion, complete with clear blue eyes. 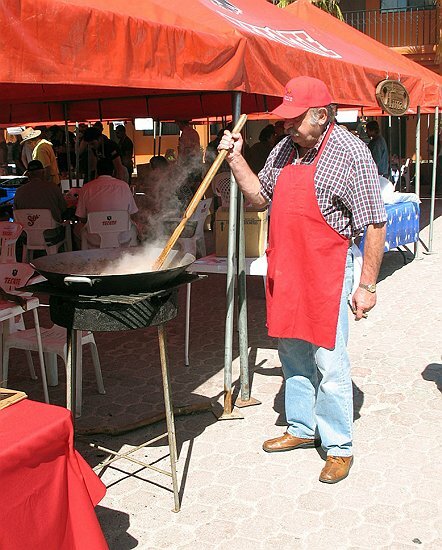 The gastrological forecast was heartening. 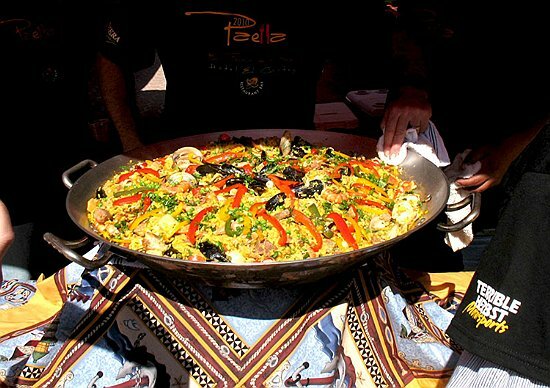 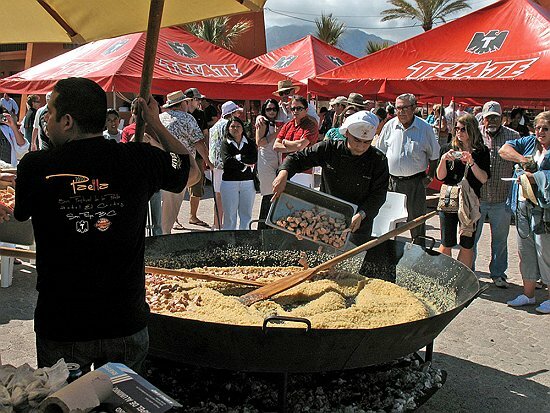 There was an excellent turnout for this year's Paella. 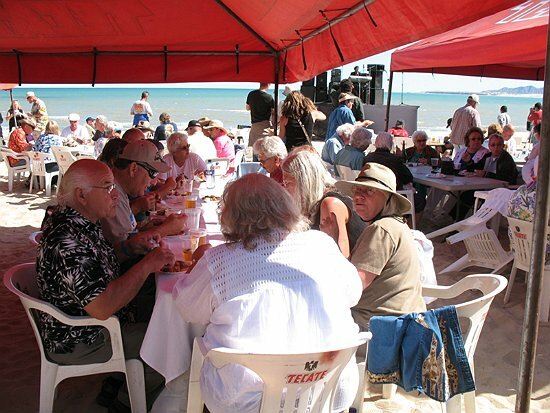 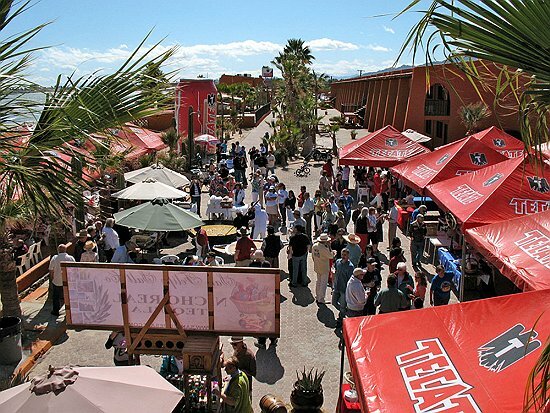 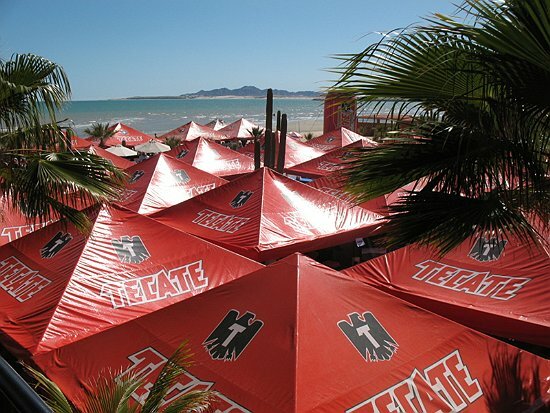 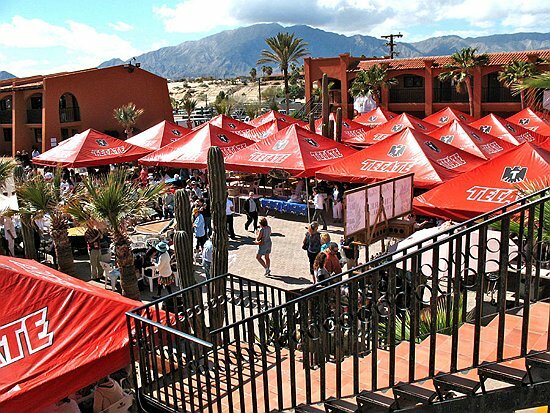 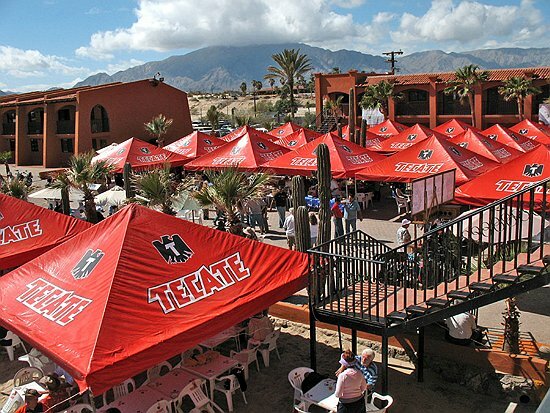 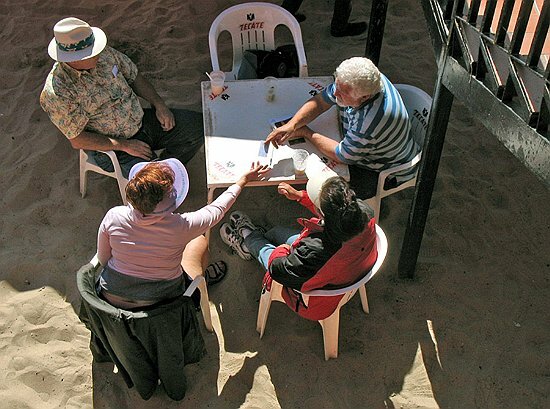 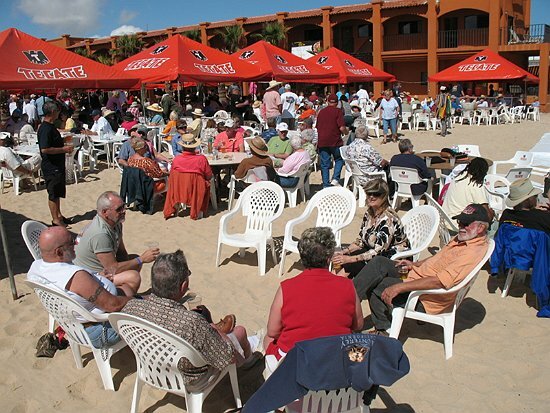 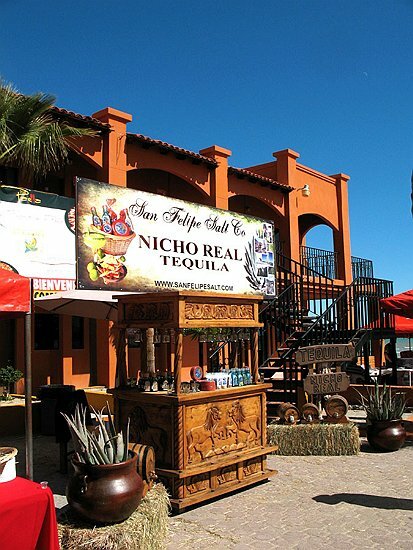 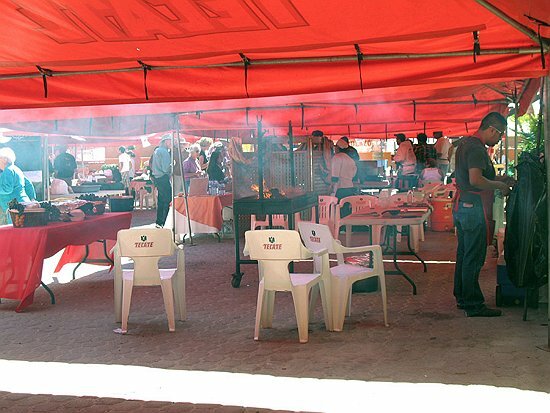 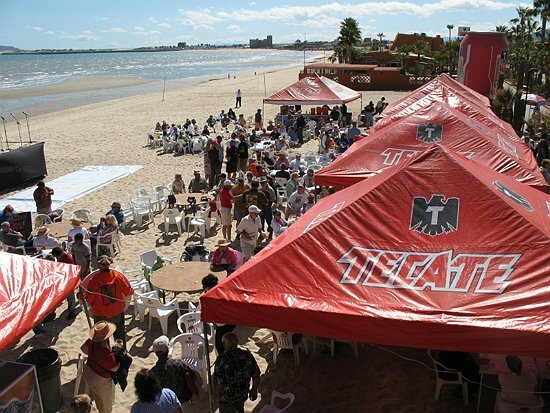 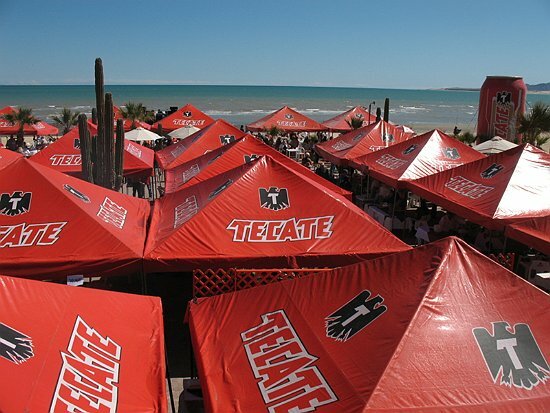 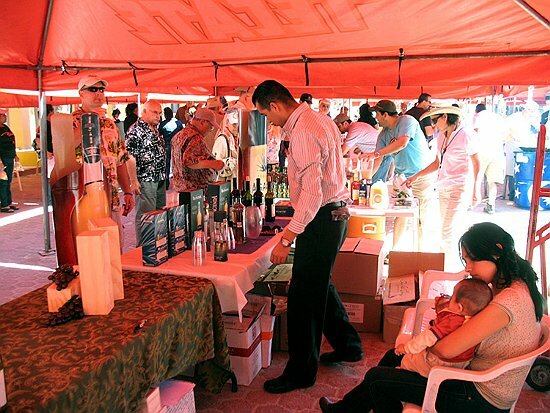 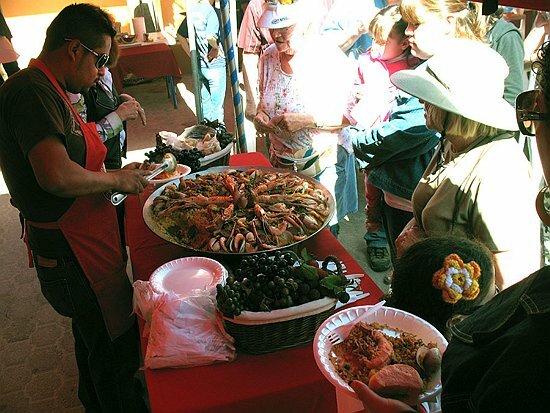 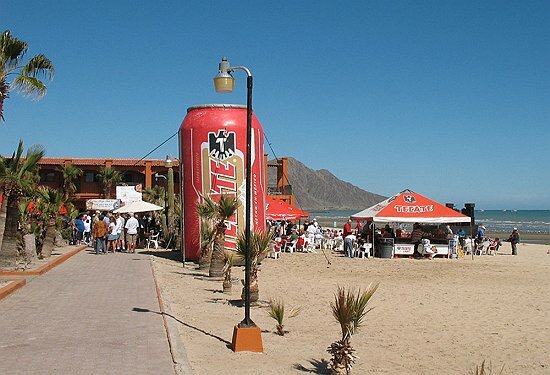 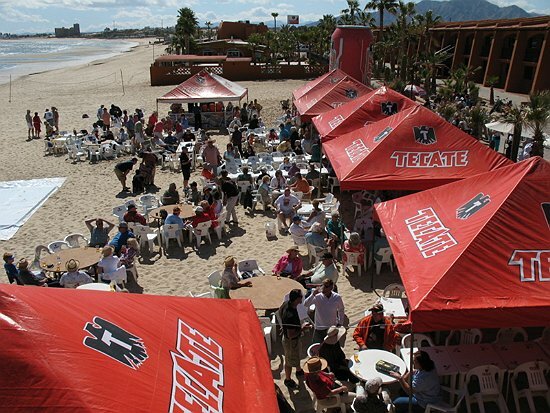 Last year's cramped quarters inspired the Cortez Hotel to made the beach available for an added number of Tecate tents where the crowd could enjoy the featured comestibles in a shaded place. 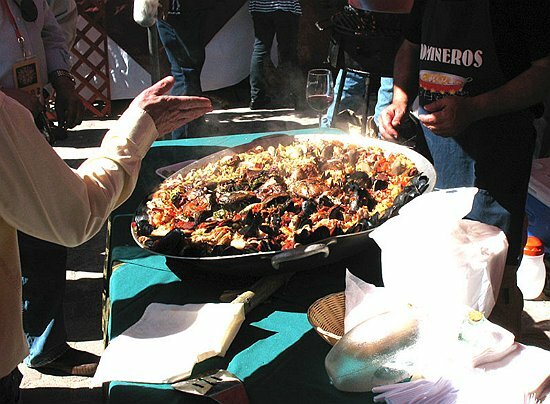 Local restaurants vied for honors over smoking cauldrons, griddles, pots and barrels as the afternoon breeze threw lassos of cooking aromas around the noses of the expectant patrons who walked by the colorful food venues, absently rubbing the pocket where their meal tickets resided. 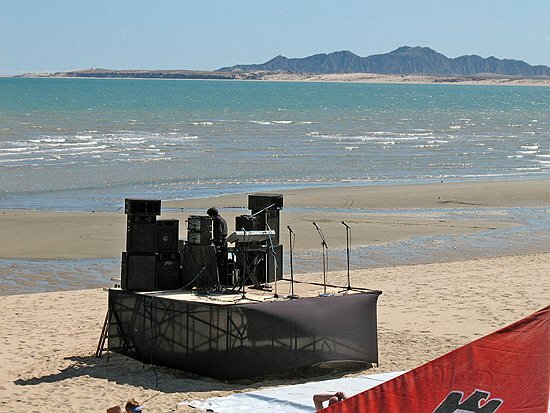 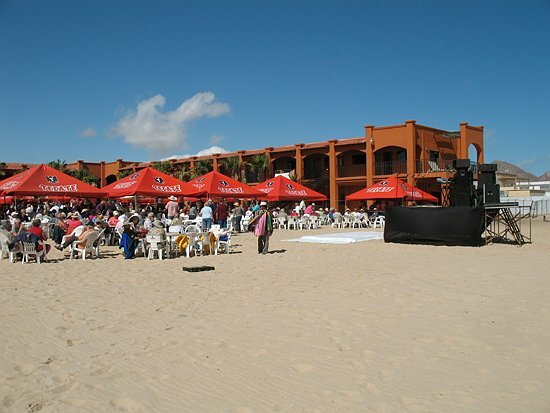 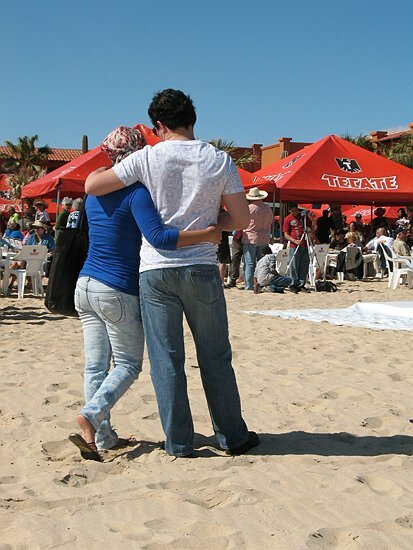 A stage had been erected on the beach where a DJ piloted the equipment through a medley of music. 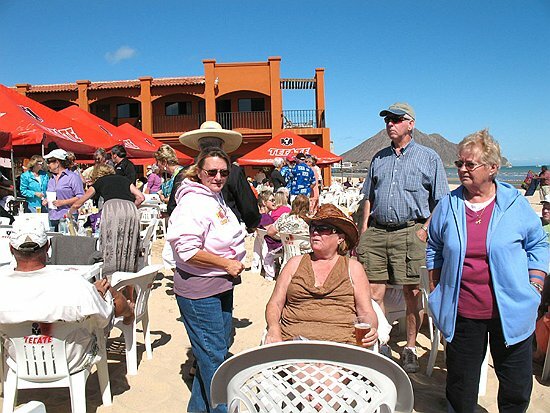 Unfortunately, the traditional mariachi band didn't arrive until late afternoon. 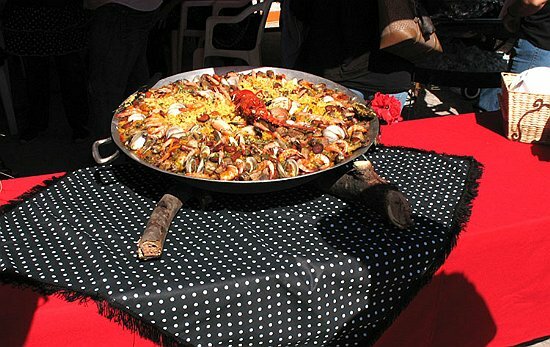 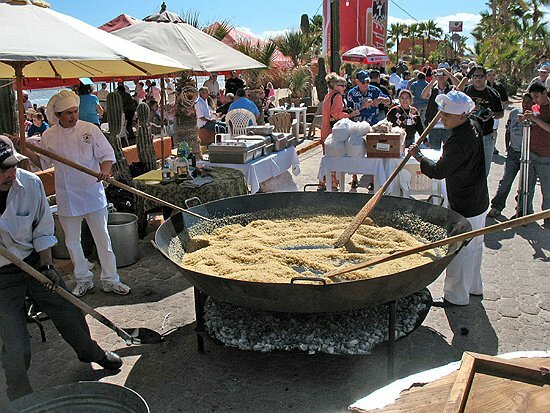 Aside from the numerous tents that offered food, booze and cigars, the center of attention seemed to be the customary preparation of a rice, shrimp, clams and lobster dish in an enormous saucer whose size suggested the severed nose of a 747. 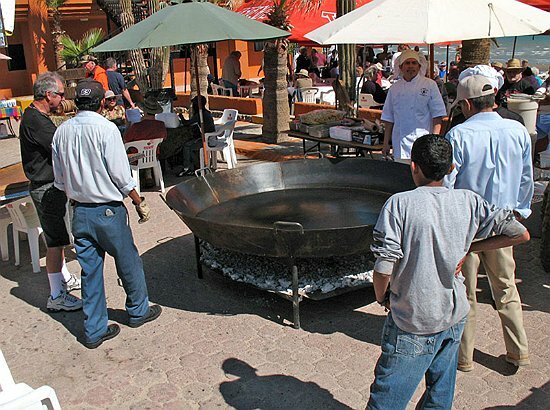 The giant metal tureen was placed over a bed of hot coals and three men brandishing oars began paddling like coureurs de bois as rice, butter, shrimp and spices where dumped into the cavity. 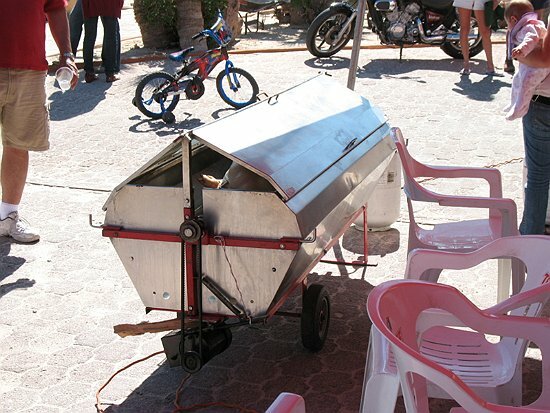 When the ingredients were sufficiently mixed, a makeshift lid of plywood, layered on one side with aluminum foil, was lowered onto the tureen and wedges were driven through its handles to pin the cover tight against the rim. 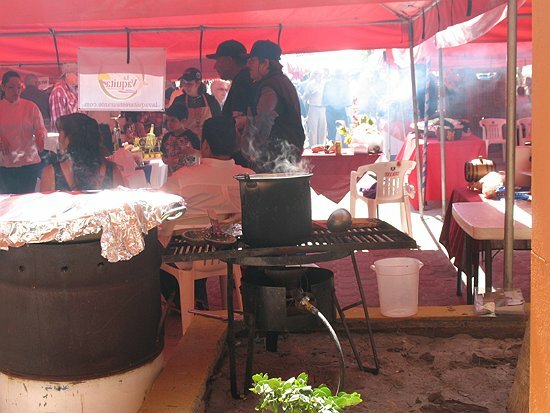 Everyone appeared to enjoy the food and no one went hungry, except the vegetarians. 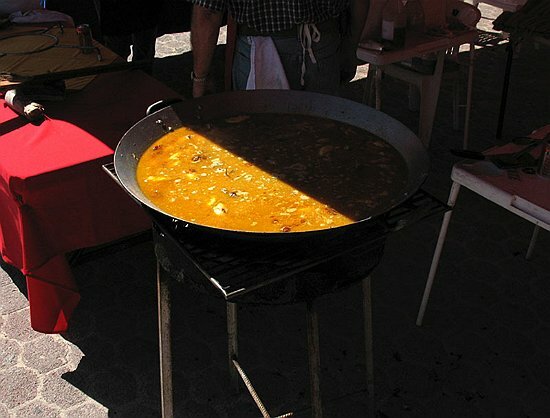 thumbnail to start the slideshow.